Well unless you’ve got a distressed, vintage one picked up at an antique market in Arezzo that looks oh so nice in Instagram photos. Jokes aside, part of the greatness of food in Italy is that it isn’t to be pretentious. Throw away the word ‘foodie’ and replace it with just a general knowledge of what’s in season, traditional recipes passed down from nonni, and you have a culture that revolved around food — in a good way. Before I came to Italy, my diet sucked. I’ll be perfectly honest since we can’t all be born with a killer ‘soffrito’ instinct. I used to eat pretzels and salad for lunch, the occasional fruit working into the mix,. I had a penchant for those little white doughnuts you can get at the gas station that leave powder all over you the second you take a bite. I made spaghetti, overcooked to oblivion, and covered in what I thought was a revolutionary move — store bought sauce mixed with ground turkey and diced onions. No longer could I find my low-fat, fat-free cookies, or avocados on the go, or little pot-pies frozen and ready to reheat. It was stressful at first and I retreated in all-too-often Pringles binges. Eventually in order to stay healthy, I actually had to look up recipes and attempt to recreate them, risking the lunch or dinner of myself and anyone else I was eating with. But slowly, and it was a slow process for me, I learned that cooking is not about trying to win at your own ‘masterchef’ competition. It’s a series of tried and failed repeat attempts that get better with time. I don’t use activated almonds or gluten-free soy beans, I just ask the folks at the market how to cook something if I’m unsure of how to do it, or I ask a friend. I try, sometimes fail, and try again. Now I am addicted to trying new dishes, lately I’ve been attempting to cook artichokes, something I always thought was very difficult. Luckily, I have a few friends who are expert cookbook writers and bloggers. One of which is Emiko Davies. To be honest, before we met, I was in awe of her and amazing blog. She always took the best photographs accompanied with a backstory, which was always friendly and concise. Lucky for me, we became friends and I met the person behind the blog. 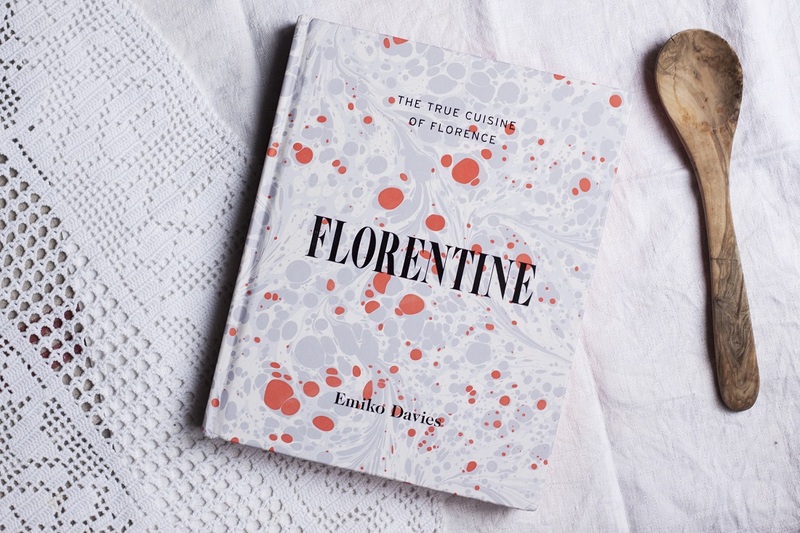 When I found out she was coming out with a cookbook about Florentine recipes, I was over the moon not only as a friend but also because I was so dang excited to get my hands on it! A few years ago, I went on a fun food tour with Emiko that she arranged along with our friend and tour guide Molly for their friends. We learned about Renaissance cuisine and this is when I first saw how passionate Emiko was about Florentine cuisine. She will go to any lengths to perfect a recipe, in ways you cannot imagine. Imagine trying to get crushed red ladybugs in order to make an authentic batch of Alkermes, or sourcing pigs blood in Australia for a certain chocolate dish, she did that. This is why this book is worth buying. She is a true recipe tester, and that is something that I really value. 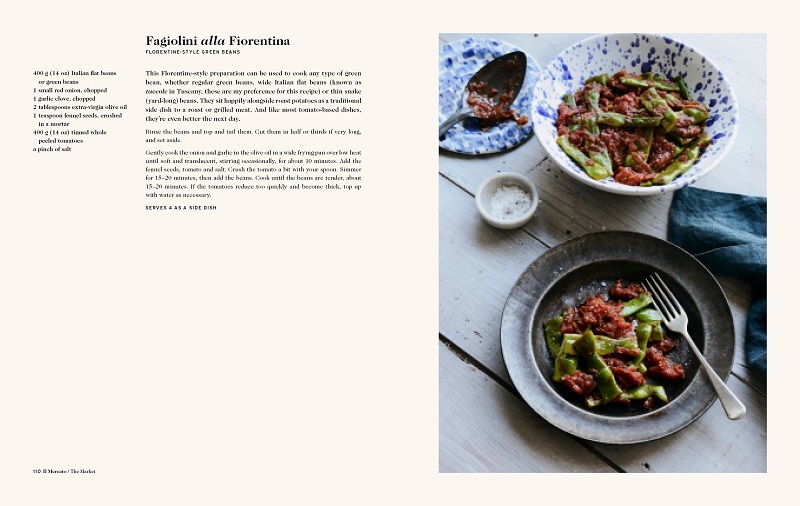 The book is called Florentine: The True Cuisine of Florence, and is a collection of recipes from the city of Florence where Emiko has lived for over eight years. I got my own copy recently, and adore the beautiful marbled cover, a homage to yet another long-held tradition of marbled-paper making here in the city. The chapters are broken down by type: la pasticceria, il forno, il mercato, la trattoria, il maccellaio, in giro — to held us readers navigate our way from place to dish the Florentine way. She stays true true to traditions adding a local quote ‘squadra che vince non si cambia’ which basically means you shouldn’t change a good thing. Italians have been rocking food for years, listening to the seasons and using only what they have to create delicious, simple meals — not letting anything go to waste. In addition to the great recipes, I like that she includes her favorite foodie hideaways in the citym a glossery of local terms, and a treasured backstory on local food culture from Renaissance times to modern times. You don’t just get recipes, it is more like walking with a local through the city with her while she gives a close friend her best insider secrets. I ‘walked’ with Emiko to her favorite local pasticceria, cheekily dipping my flaky brioche into a foamy cappuccino at the bar. I already used the book to make two dishes at home, ‘rosticciana’ (pork ribs) the Florentine way, with fresh rosemary and olive oil, and boiled artichokes–which like I mentioned before, I was always hesitant to try. Win Your Own Copy + An Original Print! 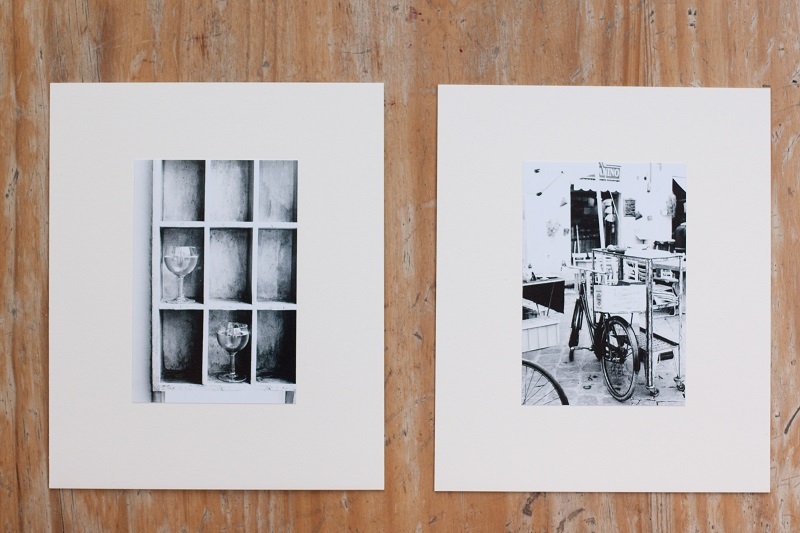 The winner will be able to choose from these two original prints by Emiko! In order to share the love, I decided along with Emiko to do a special giveaway here on the blog, which is actually my first one. Truth be told, I am very excited about this, because this book is special. To win, all you have to do is comment on this post telling us about your own favorite Tuscan recipe and what it means to you. Elaborate as much as you’d like — I love details. I strive to find out more about my readers and your passion for local cuisine. Or if you don’t have any Tuscan recipes, share why you’d like the book and your own cooking stories. Emiko and I will personally choose the winner and send them a brand-spanking new copy of this awesome new book along with a print of their choice (see the photo above). We will announce the winner on my facebook page (and instagram), I’d rather do this sooner than later, like a week, but it depends on the kind of feedback I get on the post really. Also give us a follow on instagram (my account and hers) to keep updated with what’s going on in our day to day lives, from Emiko’s adventures hosting events all over the world and my dalliances in Florence. *Keep in mind that you can order the book already here (US) or here (UK). There’ll be book launch events in the UK and Florence in April! stay tuned here for future events. I also saw it at the Papaerback Exchange bookshop in Florence and I’m sure it will hit the shelves in other various shops. Brava, Georgette! Emiko’s book is amazing! I ordered a copy for myself and promptly gave it to a friend when I realized it would be the perfect gift for her. I will definitely be ordering another copy to keep this time. I have been a fan of Emiko’s since coming across her recipe for crostini toscani in 2011 and this is the dish that brings my heart back to Florence every time. I lived in Florence for a brief time in 1996-1997 before making Venezia my home and it was my mission to order crostini toscani in every restaurant that I tried. While I don’t get back to Florence nearly as often as I would like to, any time I am there I will never pass up an opportunity to order another plate of that delicious appetizer. It takes my mind right back to those glorious months of living in Florence and forging my way in a foreign city all by myself. Ciao Georgette, first of all let me tell you how excited I was to recognize the little piazza in San Ambrogia before reading the description underneath the photo. My husband and I stayed in an apartment on Borgo Pinti for a few months (you helped me find the Aveda salons for a haircut and color). We walked through that little piazza many times on our way to the market. And thanks for reminding me about Emiko’s blog…for some reason I haven’t been getting her posts so I fixed that. One of my all-time favorite Florentine recipes Is Panzanella. It’s one of those very colorful healthy dishes that can be thrown together with things you already have in the house,and you can always add something different for more color or just to make things interesting. Summer meals often mean using the outside grill, and having to turn on the oven is definitely something I avoid during the hot summer months, either here in the US or in Florence. A Panzanella salad goes together quickly and looks gorgeous with a green salad, or even on top of some fresh greens, alongside some cold steamed green beans with a grilled steak or piece of grilled chicken. It’s just a fun food that’s refreshing and satisfying. For me, summertime is the only time to eat fresh tomatoes – and a Panzanella salad is one way to do that. The food in Firenze and Italia is wonderful, and would love to learn more about cooking it myself !!! Hello Georgette & Emiko! Four days and a wake up and my friend and I leave for Florence from the US!!! On a previous trip, we attended an amazing cooking school with Valter Roman in Livorno. One of my favorite recipes is Zuppa di Farro & Fagioli Borlotti, but there are really too many to mention! Would love to win this cookbook and learn more. Your blog is amazing – thank you for ALL the information. It has really helped us with planning. We are anticipating a glass of Chianti and Crostini Di Fegatini Di Pollo next Friday evening . . .
We were in Florence last spring and had a wonderful time. What caught my eye in a number of restaurants was a note next to the listing for Bistecca alla Fiorentina. Basically, it said that the chef will prepare the steak the proper way, which is medium rare. No choices – please do not ask for well-done. I truly admire that. Although North Americans have been brought up to believe that the customer is always right, and that they can ask for changes, substitutions and preferences in a restaurant, Italians know that they have centuries of experience perfecting their recipes and that’s the way dishes will be served. Looking forward to Emiko’s book, and thank you for the post Georgette. I love so many recipes from Florence that I couldn’t possibly choose just one. My daughter will be studying Nutrition in Italy this summer and will spend some time in Florence. I would love to win this for her! Hi Georgette and Emiko. I am from Singapore and August 2016 would be the first time I will arrive in Florence for a Summer holiday. I have never tasted Tuscan recipes, but I have seen much in your websites and instagrams. I cannot wait to taste them but I like to share why I would love Emiko’s new book. I think cooking, is not just cooking. It is about creating tastes and memories with your family, friends and loved ones. It is about documenting history and rich culture. Even though Singapore is a young country compared to Tuscan, we are now at the crossroad whereby new cooking and tastes penetrate our lives. And it is important as always to have this real book and pages to record down the valuable tastes that might change over time. And I hope to slowly walk through Emiko’s book, flipping recipes by recipes, trying them through laughter and golden family times. Wow, I would love this cookbook! If I don’t win, I will definitely order…but to enter I would have to say my favorite Tuscan recipe is for Torta della Nonna. When I made my first trip to Italy in 2014 (can’t believe it’s 2 years this month…I need to return stat!) I stayed in Florence for 4 nights. While there, I discovered Torta della Nonna at a pasticceria a short distance from my hotel. I fell in love after the first bite and I returned every day to have another torta. Upon returning to the US I was bound and determined to find an authentic recipe to try out and recreate my favorite torta while in Italy. After weeks of searching I finally found a recipe that sounded close to the tastes I experienced in Florence. With the help of my sister (a pretty good baker of our familiy’s Italian cookie recipes) we tried it out and with the first bite I was back in Florence…it was perfect! Tasted almost exactly the same. Needless to say, this is my favorite recipe and every time I want to take myself back to Florence, I can just make this wonderful torta! Hi Tony! Then you should be pleased to know I have a recipe for torta della nonna in my cookbook — it is one of my favourites too! This looks like an amazing book! My fiance was born in Florence and is a great cook. I on the other hand needs some work! I’d love to surprise him with recipes from Florence! In terms of my own cooking adventures I consider myself a newbie but love the art of cooking. I’m currently learning how to make homemade ravioli and pasta. Thank you for this! I have been following Emiko Davies for some time now, and am looking forward to her book. My favorite Florentine recipe is “Arista di Maiale.” You can buy it already prepared in the Sant’ Ambroglio covered market, or prepare it at home: one small pork tenderloin, seasoned with rosemary, sage, salt and pepper, wrapped in pancetta. Tie it up with cooking twine. Sear on all sides. Deglaze with white wine; add chicken stock. BTBRTS (bring to boil, reduce to simmer), cover and cook 30-35 minutes. I hope Emiko does some version in her cookbook, as I have never found written instructions. I just make it the way the butchers have told me. I do indeed! I do a slow roasted version, which I love as it’s very low maintenance but so tender and flavoursome! Thanks lynn! I’ve never been to Florence (or Tuscany) but planning a visit later this year. In the meantime I’m trying out various recipes from cookbooks, my favourite of which are currently Verdura, by Viana La Place, and Slow Cook Italian, by Gennaro Contaldo, both fantastic books. Emiko’s booking sounds very tempting. I’m hoping it has some gluten-free recipes, which looks possible after checking her website and spotting gluten-free gnocchi. My partner can’t eat gluten, so that’s an important point for me, and quite challenging with Italian food. Ciao Jenna! I’m so happy you joined in too! That’s great that you have some places in California to indulge in Italian food — I was impressed last time I was in the states with the level of options even in Texas :). You hit the nail on the head when it comes to awesome Tuscan basics, ribollita is practically a must for any first time Florence visitor. I have always sought unusual-to-North-America, authentic recipes from Italy. Two that appealed to me were ribollita and panzanella. A number of recipes for each were found, compared, combined, and prepared. I was pretty proud of myself. Then I actually visited Italy and discovered that I and the recipes I’d found were WAY off base! My productions tasted nothing like the real thing! In North America, we tend to abuse garlic: it’s either ignored or over-subscribed. We like our soups to be, well, soupy, with lots of liquid, and for our salads to be smothered in large quantities of dressing, even if that dressing is merely oil, vinegar, and mountains of garlic. This is very different from what I experienced in Florence and the Tuscan countryside. Things are much simpler, the liquids reduced, the foods thicker and richer, the dressings less predominant, the flavour the focal point. It’s a different mindset. I’d love to be able to more fully understand the culture behind the food and behind the recipe so that I can get it right the next time, and the times after that. 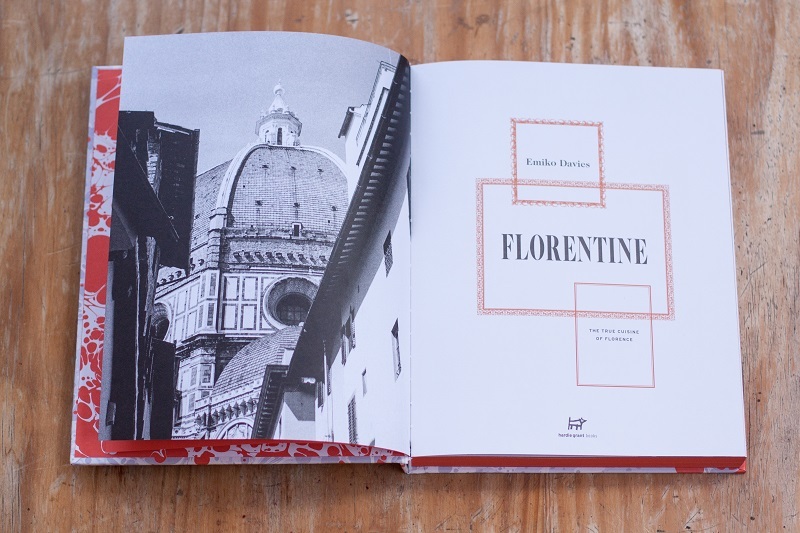 I think Emiko Davis’s book would be, not only a great reminder of our time in Florence, but an excellent course in cooking and culture so that I can experience the authenticity of Florentine cooking. Just don’t ask me to make lamprodetto! ? This looks like a fantastic cookbook — a combination of detailed recipes and personal anecdotes are the ingredients for success in my eyes 😉 I have a very special place in my heart (and stomach) for pesto. I spent the past summer in Florence living with my boyfriend and his family. His mother was an amazing cook and my favorite dish of hers was the simple, delicious pesto. She eventually let me make it under her guidance, and before I left to return to the states I made sure that I wrote down the recipe so that I could try to recreate it. Although I have to admit that writing it down was unnecessary; the ingredients have been ingrained in my memory….basilico, aglio, olio extravirgine d’olive, sale, pecorino romano, pinoli. And my favorite pasta to go with it: fresh trofie with green beans and potatoes mixed in. Buonissimo! I make the dish whenever I’m really missing my boyfriend and warm summer nights in Florence. This looks like a fantastic cookbook, Emiko — a combination of detailed recipes and personal anecdotes are the ingredients for success in my eyes ;)I would love to win a copy so that I could learn more authentic Florentine recipes and impress by boyfriend’s family when I return to Florence in a couple months! Hey, Georgette and Emiko. I have been following Emiko’s blog for a long time now but I only recently discovered “Girl in Florence.” What a treat! I love your cooking story. I feel like I started to become my adult self when I started exploring cooking! My favorite Tuscan food memory is from my trip with a friend. We had spent ten days exploring Naples, the Amalfi coast, and Rome and finally found ourselves in Florence. After a long day of museum hopping we settled down to a luscious meal. My favorite part was the white beans. They were so different than the beans I’d had anywhere else – creamy and rich. They were even restorative! I’ve tried to recreate them with limited success but maybe Emiko holds the secret! Love following your blog girlinflorence, and congrats to Emiko on the cookbook! When visiting Italy last year, I chose to spend 10 days of my trip based in beautiful Firenze. After traveling through Tuscany and attending several cooking classes, the one thing I failed to bring home was a regional cookbook. Being an avid collector of cookbooks and committed to trying new dishes, not sure how that happened. Would love to make some of your dishes reminiscent of Tuscany. A favorite was pappa al pomodoro, and of course any dish made with carciofi. Thanks so much for the opportunity – whether we win or place our orders!!! I had the most amazing soup made with cornbread & beans when I visited Florence. For the life of me, I can’t find the name of that dish or a recipe. Like, I dream of this dish. I’ve described this dish to my husband many times, always ending the conversation with, “I wish we could make that at home.” Maybe it’s in Emiko’s book. I hope so. Can’t wait to look through for more delicious dinner inspiration. I would love to win this fantastic looking book! 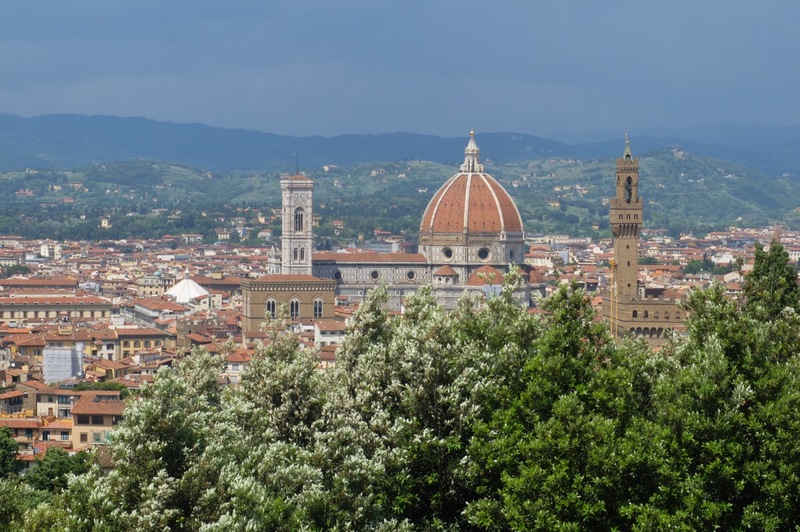 I was in Florence for one short day in 2013 and it was such an incredible experience. My favorite dish there was Panzanella(?). An amazing bread salad. But of course my stay was so short I know I have many more wonderful dishes to explore. Ciao tutti 🙂 I’ve been living in Florence for 2 months now and the first recipe that came to mind while reading this was Ribolita. The first time I sampled this magical dish, I fell in love. It was everything I had hoped it to be and actually made my list of comfort food. Something about Ribolita reminds me of home, but also allows me to feel immersed in the culture and beauty here in Florence. I’ve attempted to recreate this dish, but I can’t seem to nail down that ‘magic’. I’m not one to give up though…great blog as always. Baci. Ciao! I love to follow Emiko’s blog (yours too Georgette 🙂 Through her blog I learned about the Artusi book which I bought recently. One of my nice experiences with a Florentine dish happened at New Years Eve this year when we were in Florence. Instead of having the traditional Dutch “Oliebollen” (sweet donuts with raisins and powdered sugar) at New Years Eve, we had a diner in a restaurant and I made my choice for a specific appetizer because it included stracchino cheese. Much to my surprise, when the dish arrived, it also contained fried dough-balls. A bit similar to the Dutch oliebollen, only smaller and savory and not sweet. What a coincidence ! Later on I found out it was a typical Florentine dish with the name coccoli: fried dough, prosciutto and stracchino cheese. Woooh! What a brilliant idea! I must admit to an addiction to pappa al pomodoro, so sweet and fragrant. It must be done with salt-less bread and drenched in olive oil. A little torn basil. Eaten just lukewarm so that the flavours are at their maximum. A mouthful of summer in each spoon. Hi Georgette and Emiko! I actually saw this via Instagram and HAD to check it out. 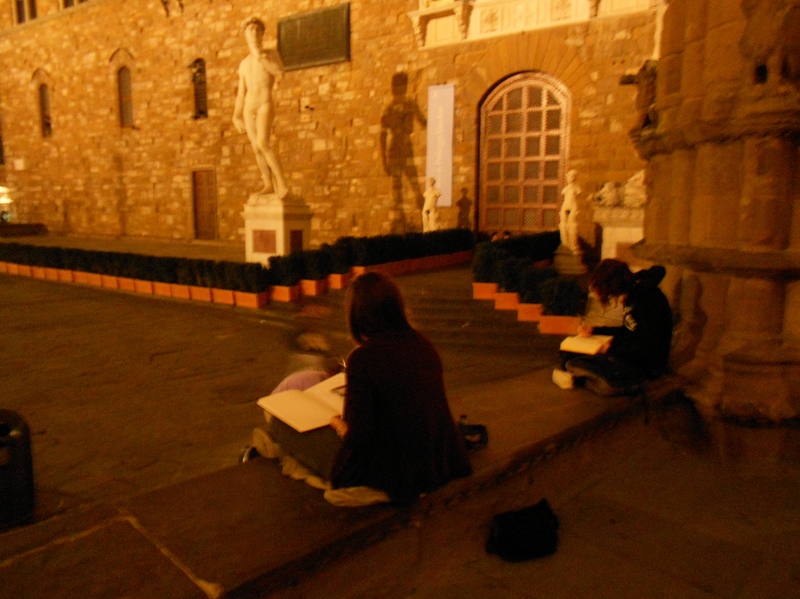 I studied abroad in Florence about four years ago and it completely changed my life! I lived with a host mother, Marina and she was the best. My favorite florentine dish is… Wait for it… Papa al Pomodoro. So simple and carbolicious, but so hearty and delicious. My parents came to visit me while I was there and fell in love with the food and wine (my mother is actually from Naples). Now we try to cook Florentine steak, but it’s never to same. I’d love this book to recreate all of the lovely dishes Marina made for me in Italy! My favorite Tuscan recipe must be Tonno del Chianti, literally Tuna from Chianti, although it is actually pork shoulder – and it was this dish that originally introduced me to Emiko’s blog! Ribollita is always a favorite, a passover from the ‘cucina povera’ or peasant cuisine that was once a necessity due to lack of meat etc and now we celebrate it, isn’t that so cool? 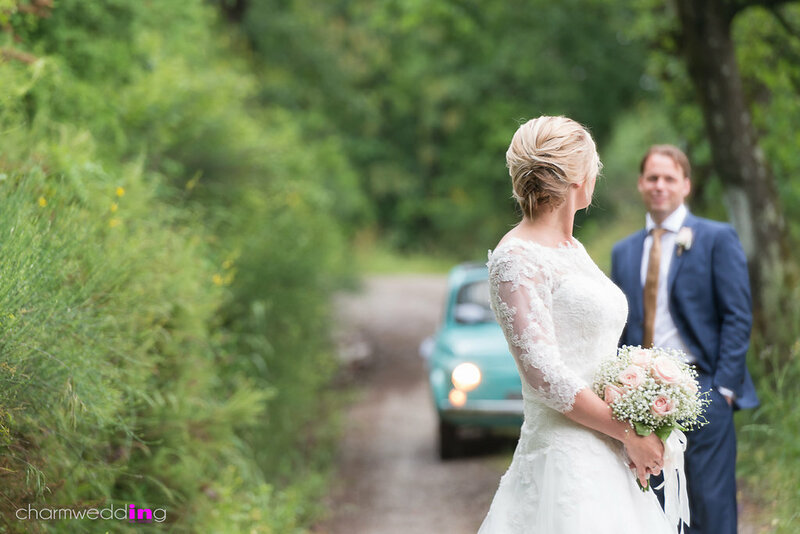 Your experience near Certaldo sounds absolutely incredible. Your descriptions sound absolutely lovely. Emiko is an inspiration for so many of us home cooks, she keeps it simple and adds a touch that makes every recipe just a little better. Good luck with your nettles! I first traveled to Italy almost twelve years ago to stay with a host family in Treviso (Veneto) when I was a junior in high school. It was there that I learned to cook by helping my host mom in the kitchen everyday. I learned to cook so many traditional recipes from the Veneto region and I fell I love with Italy and with cooking. Now I am a graduate student pursuing my Ph.D. and I still make those recipes for myself and my friends to relax, take a break from the books, and enjoy great food. While I have visited Florence, I have never tried to cook strictly Tuscan recipes but I am dying to get my hands on this book and give it a shot! Winning a copy of this book would make a great addition to my kitchen and Italian cooking repertoire. Yes, I am really grateful that I had the opportunity to study abroad in Italy in high school and that I took it! My time there was really life changing. I’d say one recipe from the region that I really adore is baccalà mantecato, a fish cream that can be served on crostini or slices of polenta. I also fell in love with radicchio trevigiano. Living in Treviso, they use it for anything when it’s in season in the winter, like risotto al radicchio, torta salata con radicchio, or just as a simple salad. My host grandmother taught me to make her gnocchi di zucca con salvia and pasticcio. Those are just a few but I could go on! Georgette – I don’t have a recipe to share – I love to cook and love to eat Italian, so, like everyone else, I would love Emiko’s book, but I thought I would take this opportunity to that you. We were in Firenze last September, and thanks to a post on your blog, we were able to attend the last Orti e Cenacoli dinner. It was moved at the last minute to Santa Maria Maddalena Dei Pazzi, a lovely church that we would never have even known about if it was not for this event. It was one of the most magically evenings that I can imagine. The dinner by Chef Landi was wonderful, fresh and imaginative, but, oh, the breads were to die for! Large platters of different types of bread sticks and cracker like flat breads on the table and one or two different breads or rolls served with each course. The host was extremely gracious, coming down to give those of us who didn’t speak a great deal of Italian a nice synopsis of the talk before the meal and answer questions. He seemed honestly thrilled to have foreign tourists at his event. The table setting was beautiful and as darkest fell it took on a very other-worldly quality. Thank you for the tip – we never would have had the experience without your blog. Keep on enlightening those of us who can only dream and occasionally visit. Hello! So excited for the book. 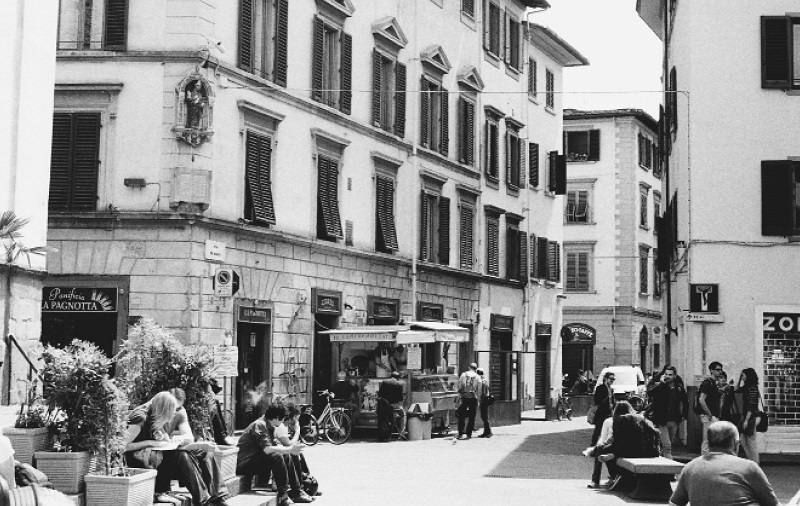 My boyfriend and I lived in Florence for a year and fell in love with the quaint city. Your blog, Girl in Florence was a wealth of information and I also looked forward to Emiko’s recipes in The Florentine. Thank you! Italian food is so delicious, albeit so regional as well. We had amazing food and sweet treats it’s hard to pick one. But of all the things we miss the most from Florence (besides Carapina or Passera gelato) is the high quality canned tuna we would buy at Esselunga along with Borlotti beans to make Tonno e Fagioli. Its not fancy, (then again, Florentine cusine’s origins aren’t either), but so delicious, so healthy and easy to make. We would add red onion and artichoke hearts and a generous pouring of olive oil. We ate that at least three times a week! We still make it here, but it’s obviously not the same. Second thing we miss the most is the schiacciata we would buy from the forno around the corner from our apartment. So delicious with nutella! The olive oil and salt on the top was the perfect combination with it. We also ate it with fegato (chicken liver) and the most amazing fresh ricotta with a drizzle of olive oil and sea salt. So much of Italian food is about the ingredients. That is what we miss the most. The simplest recipes or snacks were elevated because we had the best bread, the best olive oil, the best tuna, the best ricotta-you can’t find ricotta that fresh and delicious in the US. Ciao Giorgette and Emiko! I came across the Food52 post on facebook about your cookbook and have been voraciously looking into it since then. I’m quite happy I was able to come across both of your blogs after all of the research. I’m particularly excited about the ravioli with pear and ricotta as I had it a number of times when I studied there in college. I have been trying endlessly to recreate the one I had at Trattoria da Guido but to no avail. I just can’t seem to get the pear flavor to pop as much as it did in Florence. Perhaps it’s just the ingredients I use. It’s hard to compete with the produce you find there (I recall my first orange there was life-changing). I have even gotten my parents involved in my obsession when I bought them Marcella Hazan’s book and had them make her famous tomato sauce. Ever since then we have been making delicious Italian meals as a family whenever I come home for a visit, usually making the pasta from scratch. Cooking to me is a joy and something I’m able to share with friends and family whenever I can. I’m so happy Emiko decided to make a cookbook specifically about my adopted home. If I’m lucky I can recreate just a little bit of it at home and transport myself back, even for just a second. Wishing you both the best! Ravioli stuffed with pear and ricotta is my idea of heaven so I totally get you. It’s hard to get the pear flavor present, I made gnocchi with gorgonzola and pera not that long ago and the cheese just took all the pear flavor away. I’m sure Emiko would know this better than I do.. Thank you for sharing your comment, making pasta from scratch is no small feat and something I rarely even do myself, though I should! First off, let me tell you that you are my absolute inspiration. I was blessed to study abroad in Florence in spring 2012, and ever since I returned to the States, Florence has been on my mind every single day!!! I have such an affinity for the culture and the city breathes so much life that I feel a part of me was left overseas! So to see you live out your life in Florence is insanely inspiring to me. Anyways. When I studied abroad, I lived on Via Montebello and always found myself walking by this tiny osteria called Antica Osteria. One day I decided it was time to try it. I ordered the Cacio e Pepe and it was out of this world. I loved that dish and have since that day. It is such a simple dish, yet there are so many different ways to create it. I prefer it extra creamy… just like the way I had it at Antica Osteria! Thank you so much Nicole, your comment was so nice to read :). Florence isn’t always the paradise that I wish it was 24/7 but it IS home and that’s what matters more. Cacio e pepe is one of my favorite dishes too, more known for in Rome than Florence but honestly I’m sort of craving it right now! How to choose? Eaten multiple times in Florence over several trips – beef steak with parmesan and arugula. Recipes of a more complex nature? I loved cooking with Giulia Scarpaleggia (of Juls’ Kitchen) when I was in Tuscany last November. We bought one of her cookbooks (translated into English) while we were there and it holds a special place in my heart and memories. That is a nice giveaway! Thank you. Well, I have never come to Tuscany, but it is in my plans to do so. I love this place. I thing I could live there for ever. As a food blogger of course I adore cooking and eating. Frorence cuisine is my favourite (generally Italian food). As I am from Greece I thing we have simillarities in our kitchens. ”Povera cusina” is a well known to Greek people. From Florence cuisine I like the Tuscan bean soup (I have done it for my blog: http://cookingandart-marion.blogspot.gr/2015/03/tuscan-bean-soup.html), panzarela and the pappa al pomodoro (is in my plans to try it also). There are so many other recipes..
Finding you I also found so many beautiful blogs and Emiko’s is one of them. I love following you both, and ever since I spent a year studying art and Italian in Florence in the 1980s, I have returned whenever it’s been possible. There’s probably no food I like better, so I don’t know what I’d choose–I love it all (well, except for the liver crostini which I know is sacrilegious but oh well). I’ve got florentine rice desserts on my mind and I am hoping there might be a budino di riso in the book. Those little oval shaped gems have a special place in my heart. In fact this week I am going to give Emiko’s recipe for frittelle di riso a try… When I lived in Via del Leone, there was a tiny frigittoria nearby, I think on Via dei Serragli, near my bus stop. It’s long gone now, sadly. It was just an almost literal hole in the wall (you stood on the side walk and ordered through the window) and I would walk away with a small bag of freshly fried frittelle rolled in crunchy sugar. They were impossibly good! I had the pleasure of testing a few recipes when Emiko was working on the book, and I cannot wait to hold a copy in my hands here in my kitchen. I’m so excited about this cookbook. I first discovered Emiko’s blog a few years ago when I was looking for all things Artusi and I’ve been following her ever since. As an Italian bought up since childhood in Australia I missed out on being surrounded by extended family and learning about our food traditions. I find I’m always searching for the history of recipes to try and connect the missing links – and Emiko is so great at providing the stories I long to hear. I’m excited to find your blog now Georgette, so I can read your stories too. One story my mum often shares is about those delicous ‘Bomboloni’ – my favourite Tuscan food – she said as a kid these men would walk up and down the beach selling fresh hot Bomboloni and to attract customers they would shout out in their Tuscan accents ‘Bomboloni, buoni e haldi, bambini piangete!’. I’ll never forget visiting the beach in Tuscany in my early 20s and finally getting to taste fresh bombolini on the beach!! Hi Georgette and Emiko!! I am so excited about this cookbook! I came across your blog when I was planning a trip to Florence with my family!! You gave us great insight on the hidden gems of the city and I can’t thanking you enough! All of my family members were extremely impressed of the knowledge I had, from reading your posts, of this beautiful city. One of my favourite Florentine recipes would be la Ribollita, which my nonna use to always make and always said it is a great way to use up all your left over vegetables along with crusty bread and cook them together to make one of the most comforting soups I have ever made!! I discovered Emiko’s blog a few years back when I was looking for a Pastiera Napoletana recipe!! Which can I just say that it is the most delicious recipe I have tried (believe me I have tried many) and would not try any other recipe after having done yours every year for the past 3 years!! As a matter a fact, I can’t wait to make it again this year in a few weeks for Easter!! My father comes from Naples and after my grandmother passed away, I felt the urge to recreate recipes my nonna used to always make as well as other traditional italian recipes. Being a University student, I find that cooking allows me to unwind and I believe cooking is for me a form of therapy where I forget everything that happened in the day and concentrate on making a beautiful dish for my family. One of my greatest passion is to cook and bake for my friends and family. On one of my recent trips to Italy I purchased Paolo Petroni’s cookbook, Il Grande libra della vera Cucine Toscana after you mentioned it on your blog and can I just say that it is a wonderful book. I love that you add your own touches to traditional and often lost recipes most people are too scared to attempt, but after reading your blog I can’t wait to be in my kitchen and cook up a storm!! Oooo I haven’t tried that yet! Good thinking :). Thanks for the comment! I am so happy this book is out. I will certainly be getting one as my family simply does not write down recipes. Well, so here it goes. As many of us, I love food! Of all sorts, but some have a hold of my heart, making me feel part of a whole. I am from South America, but have a fully Tuscan family, so I grew up with great food all around. I have great memories of visiting as a child, and falling in love with the vast hills. Ive seen those hills in every season, and how they change, and the beautiful produce it offers. I just recently realized how particular Tuscan food is from the typical Italian food, because I had never been outside of Tuscany until my 20s. And now I love it even more. With all the options, how to pick my one favorite? For that you need to experience Tuscany in a flaming hot summer. Those summers so hot that pasta just wont do. What to eat? Well simple, PANZANELLA!!! (Im even tempted to use more exclamation points). Ive had my share of debates with friends and colleagues who have not been too impressed with the Tuscan bread. But they dont know the glory that it can be to spread some fegatini on it, or a fresh ricotta, or make a ribollita in the autumn, or the salvation that it is to use this simple so-called “tasteless” bread to make a delicious, refreshing panzanella. The freshness of the tomatoes, cucumbers, basil, tuscan olive oil, onions and that amazing bread that soaks up all the goodness. I am even so lucky that for me all those ingredients come from my aunt’s back yard. I am spoiled. Hello Sam! I can sense your enthusiasm from your comment, thank you!Are you from Argentina by chance? I know a lot of South Americans from there with Italian roots. Panzanella is indeed the answer when it is so hot you can’t bear to turn on your stove, I am all about eating seasonally since living here too. I am impressed with the fact that you like Tuscan bread, it’s such a bone of contention with so many who visit, they can’t understand the saltlessness but as you said, it’s just a ‘base’ for all of the other goodness. The book looks and sounds amazing! I don´t know any Tuscanian recipes. I love Italian cuisine and my husband makes amazing pasta. That´s what we usually eat. I´d love to have this recipe book so we could cook together! The book is amazing, both my husband and I have had a wonderful time thumbing through Emiko’s suggestions and recipes, it feels like coming home with every page. Thank you for your comment! A panzanella salad is basically our summer diet and I like to play around with the ingredients a bit depending what we get from the market. Thank you for your comment! What an exciting giveaway this is! I’m not sure how I came across Emiko’s work, but I was a fan right away. After several years of visiting her blog and following her on Instagram and Food52, I’ve had the pleasure of testing and tasting (and even failing at!) some of her excellent Italian recipes. Though I’ve made some of her delicious dishes like the Sicilian Pesto Trapanese, the Venetian Risotto al Nero di Seppia, and the Milanese panettone, somehow I have yet to try out one of her Tuscan recipes! Because of this, I cannot share with you a favorite Tuscan dish (yet! ), and instead I will share my favorite thing about Italian food- the depth in the simplicity. Italian food is complex not because of the difficult recipes or mile-long list of ingredients. It is complex in its flavors- a few high quality, delicious ingredients come together in each dish to create a deeply rich eating experience. Done right, Italian food can transport you to a backstreet café in Florence or a hillside farm in Sicily and THAT is why I’m so excited about the release of Emiko’s book. I can’t wait to see what Tuacany tastes like! Hello Jen! Emiko is a inspiration for many of us in Italy, both as home cooks and professionals. She has a warmth to her that people gravitate to and I love her recipes as well. I love your comment about Italian food and how it is to you, ‘the depth in simplicity’ is exactly right. Simple is seriously underrated and I for one embrace the fact that local cuisine is not something to fear but instead embrace, even for someone who is a new cook. Just stumbled across your blog while searching for ideas on our trip planning to Florence this may/june. You are truly living my dream! Am excited to dive in to the food and this book would be a treat!! Am sure we will have many favorite Tuscan dishes at the end of the trip (a high school graduate present for one of our sons) and will be meeting our other son at the end of his study abroad in Florence. So excited!!! I’ve been coming back to Florence for over five years now and I always find new things to love, new food to try, art to discover and maybe some church or museum that I haven’t visited already. My favorite thing, though, is that I always seem to come back home with some new eating habit: first I started drinking coffee after every meal, then I started drinking wine with my lunch and/or dinner, I even started dinner with an antipasto. It’s in the little things, but I find it very comforting that in some way I can bring home a little bit of Firenze. Coming so often in this incredible city, visiting my sister, I got more in touch with the culture and the traditions that come with every family meal here. I really love the way families, neighbors and friends get together to cook, eat and tell stories. I’ve eaten a lot of things in my trips here, but one that stuck with me and made it myself later for my own food blog is Arista all’arancia. Obviosly, it’s a very simple dish consisting in a braised pork chop with oranges, white wine and stock. First time I tasted it was out with my sister having apperitivo, another favorite of mine (they had me at prosecco). Also I eat obscene amounts of roasted potatoes with sage and rosemary everytime I visit. They’re addictive! Drain 1 jar of artichoke3 hearts and put marinade in frying pan – chop artichokes (both jars, drained) and set aside. Add onions & garlic to frying pan and sauté. Beat eggs in bowl & add bread crumbs, salt, pepper, oregano & Tabasco. Stir in cheese, parsley, artichoke hearts and sauteed onions & garlic. Turn into greased baking dish and bake at 325 degrees for 30 minutes. Let cool and cut into 1″ squares.